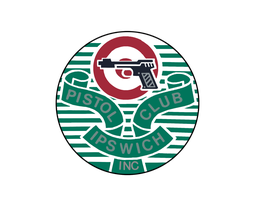 A: These events are run by a licensed firearms instructor through Ipswich Sporting Firearms Pty Ltd (atf ISF Trust). Cost is $120 per person including GST. Preferred payment is via direct deposit with funds cleared prior to the event, or Visa or MasterCard over the phone prior to the event, although cash on the day will of course be accepted, and we also have EFTPOS facilities for Visa and MasterCard debit/credit available at the range as well. We do not accept cheques. Tax Invoices with banking details will be provided on request. Q: Do I need any safety equipment? Q: Are there dress requirements? : Do I need any special clothing? Q: I have a physical disability, can I still try it? Q: I don't have a Firearms Licence - Can I still try it? Q: Do I need any special physical attributes? Q: What sort of firearms will I be able to try? Q: How do you supervise Minors? Q: What sort of people join a target pistol shooting club? Q: How long will it take to get my own firearm if I join the club? Q: Is pistol shooting safe?